Q: What is the False Claims Act? A: The False Claims Act is an important tool for combating fraud against the U.S. government or, in effect, the taxpayers. It’s sometimes called Lincoln’s Law because it was first passed in 1863, in response to unscrupulous contractors who sold the Union Army things like faulty rifles, decrepit horses, and ammunition boxes filled with nothing but sawdust. When enacted, the law offered a reward that let private citizens sue on behalf of the government and receive a percentage of the recovery. This provision is known as qui tam, an abbreviation of a Latin phrase that basically means “on behalf of the King as well as for himself.” In 1943, the qui tam provisions were curtailed by Congress based on the argument that they rewarded the unworthy and got in the way of other law enforcement efforts. Forty years later, in the mid-1980s, there was growing concern about extensive fraud by defense contractors. I was involved in exposing wasteful spending by the Defense Department at that time, and part of my response was working with Representative Howard Berman, of California, and others to reinvigorate the qui tam provisions of the False Claims Act. In 1986, we won passage of a major update to the law, restoring and updating qui tam. Our goal was to empower private citizens who had information about fraudulent activity by government contractors to bring wrongdoing forward and sue in the name of the government. We knew these kinds of courageous whistleblowers were in positions to identify fraud that would otherwise go completely undetected by federal law enforcement. Q: Does qui tam work? 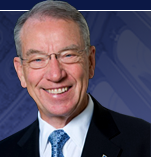 A: This year marks the 25th anniversary of the Grassley-Berman update of the False Claims Act. All together, since 1986, the qui tam provisions have recovered more than $30 billion that otherwise would be lost to fraud. Experts believe the deterrent effect of the law has saved taxpayers many additional billions of dollars. While qui tam actions during the late 1980s and early 1990s involved mostly defense contracts, in recent years, most qui tam actions have fought fraudulent Medicare billing and fraud against other federal health care programs. In fact, the law has become the government’s most effective tool for fighting health care fraud. In 2011, the False Claims Act recovered $3 billion to the U.S. Treasury, and $2.8 billion of that total resulted from qui tam. Most of the $2.8 billion in recoveries were in Medicare, Medicaid, TRICARE, the Federal Employees Health Benefits program, and the Veterans Administration health care programs. Q: Is there current legislation impacting this law? A: There are constant threats to the strength of the False Claims Act and its qui tam provisions. These threats have arisen in Congress and the courts. I’ve led efforts to defend the law and keep it from being weakened legislatively, but over time federal courts have diminished the strength of the law. In 2009, I sought and won passage of the Fraud Enforcement and Recovery Act to restore the scope and applicability of the law where it had been limited by court decisions. I will stay vigilant in working to protect this proven anti-fraud law from efforts to weaken or even gut it. In addition, I regularly give strong support to individual whistleblowers outside and inside government. Our system is better off when government and all those who spend taxpayer dollars are held accountable, and whistleblowers play a major role in making certain that happens. They do so at great personal sacrifice, often losing their jobs and livelihoods and living in a state of limbo for as many as 10 years, sometimes more, while fraud cases work their way through the legal system. Qui tam is structured to compensate, based on the fact that without the whistleblower information, it’s likely that the fraud would have continued undetected and no taxpayer money at all would be recovered. Separately, I’ve worked to encourage states to adopt state-level versions of the qui tam provisions of the False Claims Act with legislation establishing incentives for states to fight Medicaid fraud, as Medicaid is a program funding by both state and federal funds. Looking ahead, the broad scope of government programs where the False Claims Act has helped recover taxpayer dollars is a testament to its flexibility and value.